Why Can't I Exercise After Septoplasty? In 2009, Lauren Liberati began her career in freelance writing. She is a regular contributor to the Philadelphia Sports Blog, Crossing Broad and various other websites. Liberati is a Registered Nurse in Pennsylvania and New Jersey. Her specialties include cardiology, healthy heart initiatives, heart disease prevention and cardiac diagnostic testing. She also takes a special interest in new medical research. Septoplasty refers to the surgical procedure during which the septum, the bone and cartilage that divides your nostrils, is corrected. This procedure is typically completed when your septum is deviated and causes nasal blockage, facial pressure and sinus problems. Septoplasty is often combined with a procedure called turbinate reduction to achieve the most effective opening of the nasal airway. Due to the delicate incisions made, repositioning of the septum and healing process, you are advised not to exercise or perform any strenuous activity for several days following surgery. Aerobic exercise makes you breathe harder. This can be uncomfortable immediately following septoplasty. Although some patients may breathe normally after surgery, many feel like their noses are partially or completely blocked for up to 14 days. This blocked breathing may make it difficult to complete your typical exercise regimen. During strenuous physical activity such as running or lifting weights, your blood pressure naturally increases. 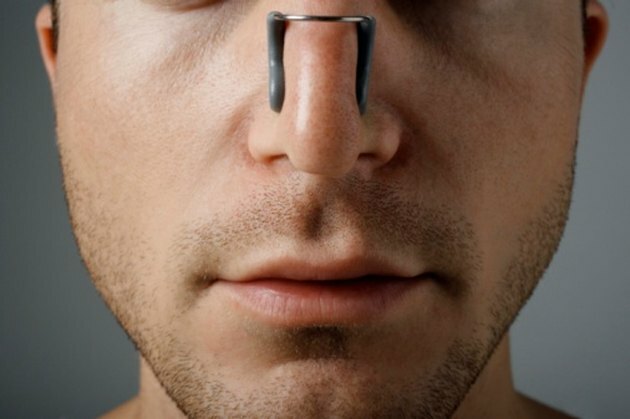 This physiologic change ups your risk of developing a nosebleed, since the surgical site is not completely healed. An unresolved nosebleed may prompt an emergency visit to the hospital. Positional exercises that require you to lower your head will also increase nosebleed risk, so even activities such as bending or many household chores should be limited for the first two days. Just as an increase in blood pressure during exercise may result in a nosebleed, it could also cause greater swelling of the surgical site. Following septoplasty, the nasal area may be swollen as a natural part of the healing process. Strenuous activity could worsen the inflammation, extending healing time. You also want to avoid contact sports or any recreational activities that involve the chance of bumping your nose. Any blunt force against the surgical site could cause displacement of the repositioned septum and may even require surgical revision. Healing time can vary greatly based on individual cases. Some patients will be able to resume light exercise after seven days, while others may need to wait two weeks or more. Follow-up examination will include the evaluation of your septum and nasal airway. Ask your surgeon when it is permissible to return to your regular activities. It is also advisable to begin exercise at a lower level, gradually increasing length and intensity weekly.